Let me give you a quick run down on the N.T. Wright story: After writing some absolutely tremendous books deconstructing the Jesus Seminar and defending the bodily resurrection of Christ, it started to come to people’s attention that Wright had some rather negative things to say about the Protestant Reformation. This gets very deep and pretty heady at times, so without getting into all of the specifics (that would require a whole series of blog posts! ), and at the risk of not doing Wright’s theology justice, I will just get to the rub. N.T. Wright has been both a friendly critic and advocate for the New Perspective on Paul. The New Perspective on Paul is a scholarly movement that has been around for about forty years. There are many variations to the so-called “movement”, as this article from Ligonier Ministries shows, but the bottom line idea is that while Martin Luther was right to reject the works-righteousness orientation of medieval Roman Catholicism, he nevertheless failed to understand the theology of the Apostle Paul correctly. As a result, according to folks like N.T. Wright, classic Reformation concepts, such as the “imputation” of Christ’s righteousness to the believer as the foundational principle of justification, have actually misread Paul and have thus obscured the real meaning of the Bible. As a result, Christians have tragically tended to overlook the call to work towards a just world, or justice in the midst of injustice, as a crucial part of God’s mission for His covenant people. Essentially, for N.T. Wright, Martin Luther got Paul wrong. So, if you are an adherent to classic Reformation theology, …well… them be fightin’ words! Who is getting the Bible right and who is getting it wrong, particularly about the topic of justification and its relationship to salvation? Was Luther really wrong, or is Wright wrong? Minneapolis pastor John Piper has written one of the most passionate and intelligent treatments of N.T. Wright’s thesis, The Future of Justification: A Response to N.T. Wright. Piper’s concern is that Wright’s thesis is chopping away at the very root of evangelical preaching. N.T. Wright wrote a book length rejoinder of his own, Justification: God’s Plan, Paul’s Vision. Seriously interested readers should try to tackle both of these books and then make their own assessment as to who has the better argument (I still have not made up my mind on it). So , for more “normal” people with other things going on in their life, here is a nice, quick “cheat sheet” that Gospel Coalition blogger Trevin Wax has written, a short primer comparing the main arguments between Piper and Wright (PDF download). Piper is quick to point out that N.T. Wright is NOT teaching a false gospel, as some rush to say. Rather, Piper contends that Wright is preaching a confusing gospel. Wright’s answer is that Piper and other critics have simply not understood what Wright is saying. To that point, Piper has a good point to make in that the classic Reformed teaching on justification by faith alone is a lot easier to comprehend than what Wright is proposing. Making the Gospel needlessly complicated is no virtue. Theological over-sophistication could easily be a cloak for spiritual pride. However, to casually dismiss Wright’s argument simply because it is difficult to take in is not a sign of piety. Rather, such cavalier ignorance would be a form of intellectual laziness. I am just as guilty as the next person is, who would rather settle on neat, simplistic theological formulas, and then try to read such formulas onto specific Biblical texts that are difficult to follow. Such “shortcuts”do not always easily work when you read the Bible slowly and carefully. The story of Christian faith is about a good God who has created a good world. God has created human beings to be in this world to bring wisdom, order, and flourishing to this world. However, human beings have messed things up, through rebellion against God, thus seeking to derail God’s project. But the story of Israel is essentially God’s work to get humanity back on track. God did this by establishing a covenant with Israel to bring the Messiah into the world to set things right… and God is a God who has kept and continues to keep his covenant promises. God’s covenant with Israel, culminating with the arrival of King Jesus, is the central theme that guides all of N.T. Wright’s biblical interpretation. So when we read the Apostle Paul, as in the Book of Romans, the main question being addressed is NOT, “How does one get saved and go to heaven?” Instead, the main question is, “How do you know if you are a member of God’s covenant people?” For it is through being a part of God’s covenant people where the mission of God is being accomplished today in our world. *** As an aside *** …. If you want to get an idea of how Wright’s message plays out for a mainly secular, and decidedly younger, audience, you might want to view Wright’s message that he gave at Google’s headquarters in California (one-hour long). Wright’s approach is fascinating. In many ways, the world of Google corporate represents the growing mindset of a younger generation that finds science and technology to be the key to humanity’s future, a future where the role of Christian faith seems strangely less and less important. Wright endeavors to show that while certain strands of Christianity appear to be hopelessly adrift in the tide of postmodernity, a robust reclamation of the authentic Gospel is still more vital than ever before. To start, the type of themes that Wright focuses on are actually themes that have been around for centuries. To think otherwise is to associate N.T. Wright’s thought as some sort of theological novelty, which is incorrect. For example, Wright’s emphasis on God’s covenantal faithfulness and of God’s plan to redeem both Jew and Gentile, is central to the Christian vision of bringing about the reconciliation of all peoples. You can read the great works of thinkers like Saint Augustine and Jonathan Edwards to gain that same type of vision for which Wright is aiming. Where N.T. Wright succeeds is that he has done a great service to the church in helping believers understand the centrality of God’s covenant for the purposes of God, for Christians who have forgotten or otherwise do not understand the concept of a covenant-making and keeping God. The other, more serious problem is that Wright sets up dichotomies that are not altogether necessary, which then distracts from his more positive thesis. For example, to suggest that Martin Luther “got Paul wrong,” and that much of the central theology and thinking of the Reformation is merely “tradition,” that must be rejected, does not really help his case. Though Wright insists that nothing essential to the Reformation is lost by accepting his arguments, Wright has not done a very good job convincing his critics that this is so! It is really a false dichotomy to reject some of the great principles of the Reformation in order to advance many of the really good things Wright wants to argue for. Let me tie this briefly into the study of the Book of Romans. Wright does not the view the “righteousness of God,” a phrase found throughout Romans, as talking about the righteousness of Christ as a gift, being either imputed, imparted, or otherwise infused to the believer, thus giving us right standing before God. Instead, Wright understands “righteousness of God” to be the idea that God keeps his covenant promises made to Abraham and his descendants, and then ultimately fulfilled in the coming of the Messiah, King Jesus. The “righteousness of God” signals that God’s covenant is not just for Jews only. It also includes the Gentiles who have faith in Christ, which was part of God’s original plan all along. Therefore, by keeping His promises, God is shown to be “in the right” (meaning “the righteousness of God”). However, in my view, Wright’s vision of God’s covenant faithfulness need not be juxtaposed against the concept of Christ’s righteousness as a gift. Part of the whole Reformation teaching about the righteousness of God is that it is tied also into the concept of the mystical union with Christ, whereby the believer is understood to be “in Christ,” a phrase found in places like Romans 16:7, that is explained in great detail in Romans 5-8. It is through this union in Christ that God’s transforming power is unleashed by the Holy Spirit to enliven the church, both in individuals and at a corporate level, enabling the church to participate in God’s covenantal plan to be a witness to God’s Kingdom in a sinful and dying world. That was a pretty heavy and dense paragraph. Whew! But if you get the basic idea, there does not seem to be a need to slam a good chunk of Reformation theology simply to arrive at the central reality of God’s faithfulness to His covenant with His people that Wright so “rightly” wants to emphasize. People are more likely to be right in what they affirm than in what they deny. That pretty well sums up where I think Wright stands within evangelical Christianity. Wright has given a tremendous gift to the church with his intellectual abilities with his positive thesis regarding God’s covenant with Israel and the fulfillment of His covenant promises, but he has risked unnecessarily dislocating otherwise sympathetic evangelicals by holding so tightly to his negative thesis about the wrongs of the Reformation. This entry was posted on Thursday, October 22nd, 2015 at 6:16 pm	and tagged with imputation, John Piper, kevin vanhoozer, N.T. Wright, new perspective on paul, reformation and posted in Apologetics, Apostle Paul. You can follow any responses to this entry through the RSS 2.0 feed. As usual a great piece of work addressing a heady topic. 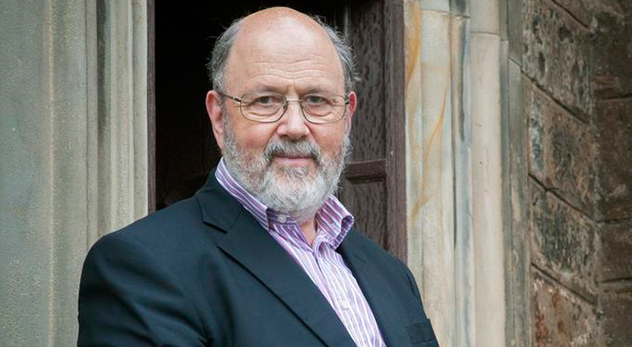 My question relative to N T Wright’s theology is how the Jews of today are covered by God’s covenant. I can see how the Jews of the OT are to be judged by their faithfulness to the covenant given to Abraham but now that we are in a new dispensation of the covenant by Christ’s act of obedience can I assume, as the Gospels say, that there is only one way to salvation for them and that is through faith in Jesus’ sacrifice and resurrection? Judgment day for those of us being evaluated for rewards will be interesting to see how God deals with the Jews. Jerry, what a great question. In the early days of the “New Perspective on Paul,” some scholars argued that there are two plans of salvation: one salvation scheme for the Jews (involving the Law of Moses somehow), and a different salvation scheme for the Gentiles (without the Law). N.T. Wright rejects this dual-salvation concept. As you have noted, there is only one way/name under heaven by which we can be saved, and that is through faith in Jesus Christ (Acts 4:12). The key to understanding Wright’s position is found in Romans 2. In Romans 2:6-11, Paul argues that both Jew and Gentile are to be judged by their works. Many traditional Protestants tend to choke up on Paul at this point. After all, does not Paul teach that we are saved by grace through faith, apart from works? The typical solution, and one that I find to be plausible, is that Paul is describing a hypothetical situation. *If* someone could actually fulfill the Law, and all it requires, then yes, they would be “saved” by their works. But Paul knows this is not the case, since later in Romans 3 and 4, he makes it clear that nobody is righteous — not one!! However, there is an exception, and his name is Jesus. Jesus, by his active obedience to the law, fulfills its just demands, and then therefore the believer who places his/her trust (faith) in Christ will have the righteousness of Christ applied to him/her, even while he/she is still ungodly, and thus leading to salvation. As I understand him, Wright’s position is that, while this explanation sounds good, it is not exactly what Paul is teaching. For Wright, this “hypothetical” situation is actually reading something into Paul’s words, bringing in concepts that are not there in the immediate context of Romans 2. Rather, Wright says that the way to understand this is to look to verses 25-29 of Romans 2. There, Paul is talking about the need to have a “circumcision of the heart,” whereby those who are Jews “by the Spirit” (verse 29) are able to “keep the law” (verse 27), and thus will be judged at the end of time as finally justified. You can be a Jew outwardly, or not, but what really matters is this “circumcision of the heart,” which thus enables the believer to do the good works that God requires whether Jew or Gentile. In other words, we are indeed saved by faith, but nevertheless, works still really matter. As well as I understand it, I think Wright’s view is plausible as well. In fact, both fit in well with Scripture. I find John R. W. Stott’s description something that takes all of these possible interpretations into account: “although justification is indeed by faith, judgment will be according to works.” God’s judgment at the end of time is the public occasion that vindicates God’s decision to justify ungodly people on the basis of faith alone. That is about as short as I can put it at this point, without getting into all of the particulars, and I am not sure it entirely addresses the question, but I think it points in the right direction. A great response; I surely subscribed to the notion that works are not a measure for salvation. And yes I agree that Paul is posing a hypothetical view with the scriptures that indicate that if we could perform works and not sin, ergo Jesus, we would be declared righteous by God. However, I could be convinced that our works of faith will be a factor for our rewards at the final judgment. Your question is a great one, that I believe every believer needs to come back to time and time again to set in our minds the right relationship between faith and works. I know that I can (and do!) easily forget about this myself, all of the time. Thanks, Jerry. Thank you for a well written article that clearly helped me see the controversy ovundiscerneder NTW without over complicating your explanation. Myra, Once you start digging into some of the more controversial aspects of N.T. Wright, it can get complicated. I still have great respect for N.T. Wright, and find much of his writing extremely helpful. I just wish he would be more positive in his assessment of Martin Luther’s Reformation theology.